i bought this at 2003. there's no other phone at that time can recorded voices can be used for anything we want (alarm, ringtone, sms, etc). unfortunately while my brother borrowed a few years ago, the lcd is broken inside-can't hear from speaker, only from handsfree. i love this phone until now. This was my favorite phone, used 3 year without problem. Synced with Alcanna. Later used by my mother, until today. Died by battery. Have to add mine opinion :o) - 8 years passed since i bought this phone - if battery remains longer in the winter, i probably would keep it another years... For those money, perfect phone. 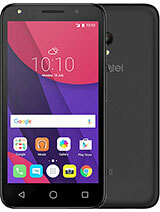 i have one of this phone.im using it now coz i dont have any other phone.means its my only choice.its nice for those who want to sms or call only.. Excellent phone. Durable, reliable, small, easy to use and lots of useful features (timer, alarm, calc, voice record, calendar...) which all work properly. If you just want to call and txt, then this will suit you to the ground. I've had mine for 4 years and taken it everywhere and anywhere and it's never let me down. Can't see myself replacing it any time soon. A great phone! I've been using it for over 3 years now. What I really like is its perfect French design, strong half-metallic case, problem-free software. The phonebook, the SMS system, etc. are VERY user-frieldly. The IR-connection to the computer is great. Yes, the original PC Suite is not too good, but there is Alcanna instead that I'm happy to use. Too bad that Alcatel has stopped making good phones. 735i is nearly the last one made in France. i wantto change the language into arbic or english th? i cant figure out who to send bits via infrared.?? any ideas?? ogboriefor, I am even worse... I have even more Alcatel phones... and they work... This 735 of mine is almost 4 years old now... works perfectly!!! 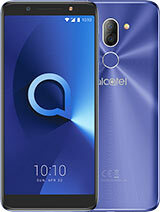 Alcatel products are generally durable and functional. This 735i especially is wonderful. I have been using mine for about 1.5years now without complaint. 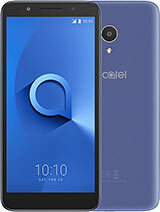 I recommend Alcatel products to users. No wonder, some might be thinking I am a shareholder as my three phones are alcatel phones - 526, 735i, C-560. I bought this phone 3 years ago while I was visiting Taipei. During that time, cell phone with colour display/camera/photocell phone book etc were not so common. So it struck most of the people. Design is bit unique with good resolution display. Hand's free works very well. BUT IR does not work properly. 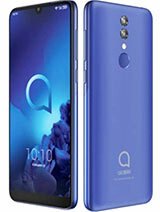 These days buying this phone is of no use.In Pakistan, there is no affection for ALCATEL. Very simple and easy to use. It has many interesting functions and was realy cheap. I bought it two and a half years ago and never had a problem.The camera has limitations but all the product is very interesting. This is an excellent phone, I bought mine 2.5 years ago now. And it still works! It is very reliable (never had a problem NOT ONCE!!!) very stable and just looks fresh. Function wise it was great for its time and age, plus it was really cheap. At that time it was one of the cheapest and best value for money camera phones you could buy! Again EXCELLENT phone! I still love it, it is now in retirement as the S853 is now the phone I use. Ow and Jen in case you still read this, you can transfer data from your phone to your PC by infrared. So go to your local computer shop and buy a infrared dongle for like 2 quid or so and that will do the trick! Sorry but in my opinion this phone is really bad. I bought one two years ago and it was a big mistake of me, becausein my opinion, almost everything on the phone doesn't have too logic. I have had this phone for ages and it has not let me down -i'm just looking for a cable to allow me to put all my pictures on the computor, please could you email me if you know where i can get one from!!!!! A good phone in durability and quality of display resolution and reception! I have this model for a year and 5 months and although never have problems, the construction is a little bad (battery cover haven't the "open" key and it dropped very few times, display's glass risks with great facility, display has a discolored line in first line of display and the vibration and rings in maximum is irritantly crap and low)! 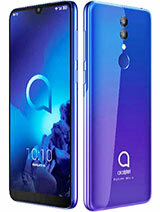 Maybe one day will buy a better mobile but Alcatel, no thanks!!!!! 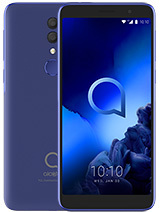 Total of 66 user reviews and opinions for alcatel OT 735i.